What If Mueller’s Baiting Trump to Fire Him? RUSH: I’ve had a couple of emails on this. You know, I have a ban on any audio from MSNBC. I’m not gonna break the ban but I’ve had enough people email me, “Rush, have you heard that they’re saying all over MSNBC today that Mika Brzezinski is saying that they’re all gonna go to jail for the rest of their lives, Trump and his team?” Yes, I saw it. The details of this story… Let’s see… “As the noose of Robert Mueller’s probe into the Trump team’s contacts with Russia is tightening…” There is no “tightening” with Trump’s team’s contacts with Russia because there weren’t any! Well, there was no collusion on the election. “[M]embers of the administration are starting to understand they’re going to jail for the rest of their lives,” said Mika Brzezinski. “The noose is tightening, and the Trump team knows they’re going to jail for the rest of their lives.” I’ve had people say, “Rush, are these people that stupid?” Yes, but that’s not what’s going on here. For these people to go on MSNBC and to say — almost in a factual, very confident, predicting kind of way — that Trump and his team “are going to jail may for the rest of their lives”? 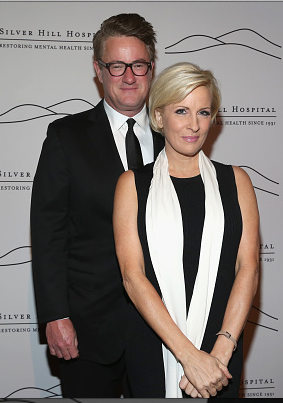 So Mika Brzezinski and Scarborough run with it. I don’t know whether whoever told them this really thinks it or means it, but when I see now that Mueller is subpoenaing Trump’s financial records from Deutsche Bank, it wouldn’t stretch the believability for somebody in this investigation or close to it to say, “Yeah, we’re gonna get ’em! These people, they have no idea what’s coming. We know what they’ve been doing. We know what Trump did with his money. By the time we get through with them, they’re gonna go to jail for the rest of their lives.” And since that’s what Mika Brzezinski and Scarborough want to hear, man, they run with it. Now, it’s possible they could have just made it up and put it out there as something they think independently, but I kind of have my doubts about that. 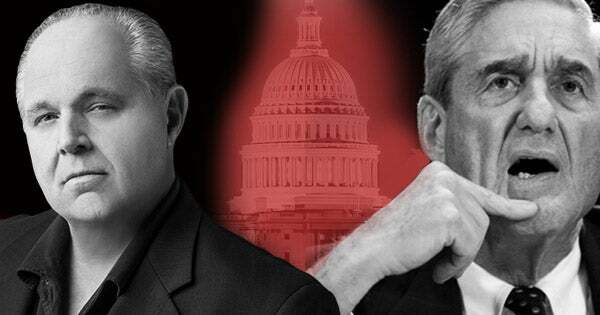 RUSH: I think it’d be a mistake, and I’ve always thought this, it would be a mistake to fire Mueller. Not because he can’t do it. It would only intensify the swamp’s demands for impeachment. Impeachment is purely political at this stage. I think Trump, as frustrating as it’s gonna be for us, I think Trump needs to play this out and just keep doing what he’s doing and focus on the agenda and get as much of this agenda done, make sure tax cuts get passed, move on with the wall, keep focusing on illegal immigration. Because, folks, what everybody’s assuming here is not automatic. The assumption everybody’s making is the Democrats are gonna win the midterms. And I’m here to tell you, the Democrats still have no idea how unpopular they are. They think, because they won the Virginia governorship election, that they’re back. They think it’s over. They think they’re back. They think the American people hate Trump. They think the American people can’t wait to vote for ’em in ’18. They’re not gonna win the midterms. The Democrats are not going to win the House one year from now. They’re not gonna do it. And if that doesn’t happen, then there’s no impeachment. I don’t care what happens, the Republicans are not gonna do that. I also remember something else. Trump said long ago of Mueller that if this guy starts looking into my business dealings long before any of this came up, this stupid witch hunt investigation, then that’s where I’m gonna draw the line. Now, Mueller heard Trump say that. What if — I was just chatting in emails here with McCarthy, who had this thought. I’ll ask him about it in the interview coming up. Well, there it goes. It’s going off the rails. It’s headed now to Trump’s finances. So why would Mueller want Trump to fire him? Well, there could be any number of reasons for that. Mueller doesn’t have a case. I told you earlier, these guys do not like their reputations getting sullied. You may think this is caca, but these people, the coin of the realm is their never ending respectability and sophistication, integrity, decency, and all that. I mean, they live and breathe for puff pieces in the Washington Post Style section about how great they look in their tuxedos when they go to the charity balls. And here the Wall Street Journal editorial today is just raking Mueller over the coals and suggesting that he’s already so conflicted he needs to resign. This, I guarantee you, is not what Mueller signed up for. No way. Not at age 73, twilight of what has been a stellar career. That would be my guess as to why Mueller would try to bait Trump into firing him. But hopefully Trump’s got enough people around him to tell him not to do that.